Went to Home Depot today and picked up a bunch of paint chips then played around with color combinations, shapes, sizes, etc. for a while. Some people can do this mentally using only a color wheel. I like to be able to move things around physically. This way, sometimes I accidentally come across a combination that I wouldn’t have mentally. Note the differences in color placement, complexity of pattern etc. 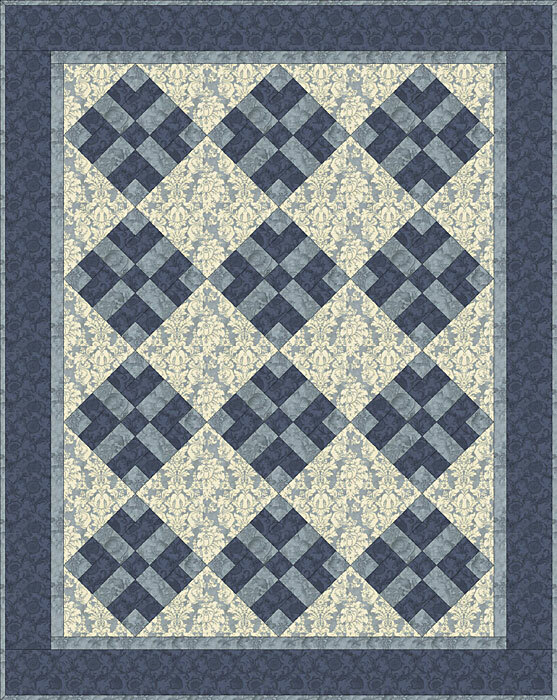 This is what I’ve figured out so far using part of a fairly traditional star pattern – it’s often used on its own as a nine block quilt with border though. The positioning of color makes a dramatic difference. I used to spend hours with Mom in fabric stores going over different color combinations, getting swatches, laying them out on the floor, switching around and around. Fortunately, she has an excellent eye for color and design. How does this translate to knitting? Looks like this particular pattern should be relatively easy. 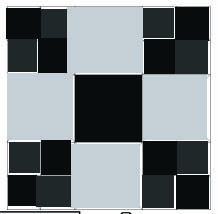 Let’s say we’re going for big and bold – 9×9 inch overall squares done 9 times with a great (as yet unvisualized border). 9 inch square = 9, 3″ squares. There is absolutely NO chance that I would knit each smaller square individually. Some probably would, but not this girl! Mind you, this is most definitely still a work in progress… but… I would probably start with the top right corner and Color D (darker of the two). Work 1.5 inches across in D, start color C, knit 1.5 inches, switch to color B, knit 3 inches, then do the first part in reverse for 3 inches length. End on WS row. Knit 3 inches Color B, 3 inches color A, 3 more inches color B for total of 3 inches in length. End on WS row. Then do the top part in reverse for the bottom 3 inches. If I were in a ‘fancy’ mood, I may even do a fairly tight lace stitch for A and D. Or maybe a cross wise cable criss crossing in square A. 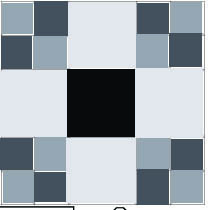 In order to keep the motivation level up, I might graft each square together as completed. 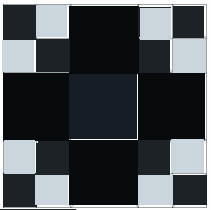 Otherwise, graft squares when all nine are completed. As this would be a fairly large project, feeling a grafted border would work best. Or, leave border off for a bit smaller quilt. On the other hand… I’m a huge fan of Kaffe Fassett’s knitting. His knit coat is one item that would probably transfer fairly well to a quilt project. He also has several knit quilts that are breath taking. 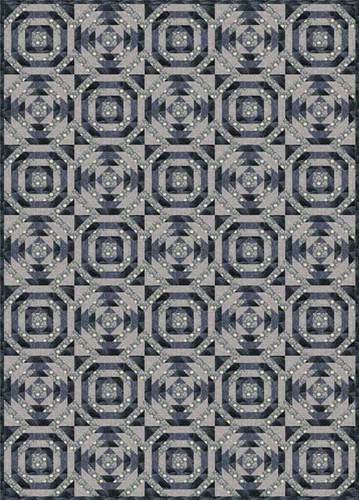 This entry was posted in Knitting and tagged 9 patch knit quilt, 9 patch quilt, knit fabric, knitting quilt, monochromatic design. Bookmark the permalink. Same here, pictures aren’t shown… Project sounds great though! I can’t see your pictures! Waaaaaaaaahhhh! Hey, thanks for stopping by my blog! I don’t think I’m really busy, I just think I take pictures of too many things… or maybe I am busy and in denial, lol.